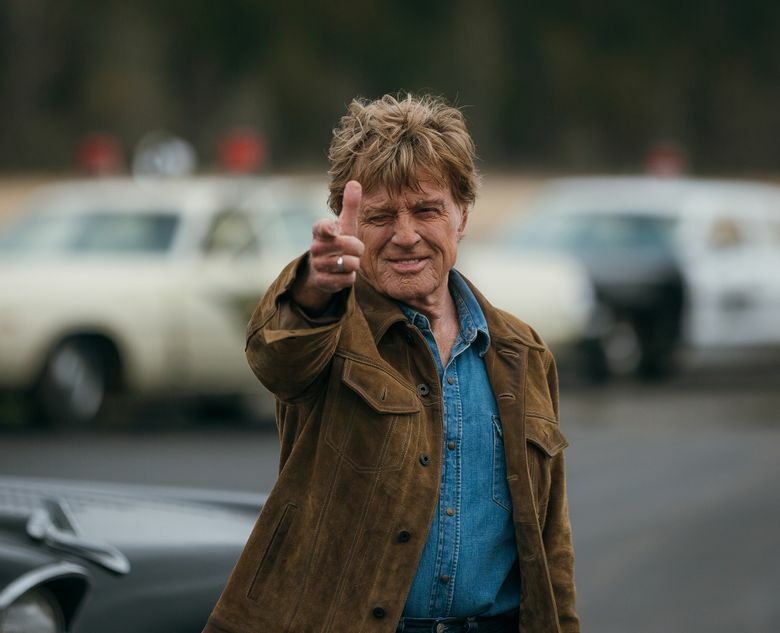 Robert Redford returns to playing a good-hearted scalawag in the mode of the Sundance Kid and the flimflam man he portrayed in “The Sting.” Rating: 3 stars out of 4. First he said he was. Now he says he isn’t. In August, Robert Redford announced he was going to retire from the business of acting at age 82. But then in late September, he apparently had a change of heart. Forrest Tucker, his “Old Man & the Gun” character, is a geriatric bank robber. He’s a very low-tech member of the breed, never stealing much (and thus rarely making the news). The tools of his trade? A sharp, three-piece blue suit, a comfortable brown fedora, a battered leather briefcase (put the cash in here, please) and a gun. The firearm is never seen by the audience during his heists. Only tellers and bank officials glimpse it when he opens his jacket. Oh, and one more tool, this one very important: a genial smile. It’s the smile of a stickup man who means no harm and truly, absolutely, loves what he does. The mood of the picture is relaxed. 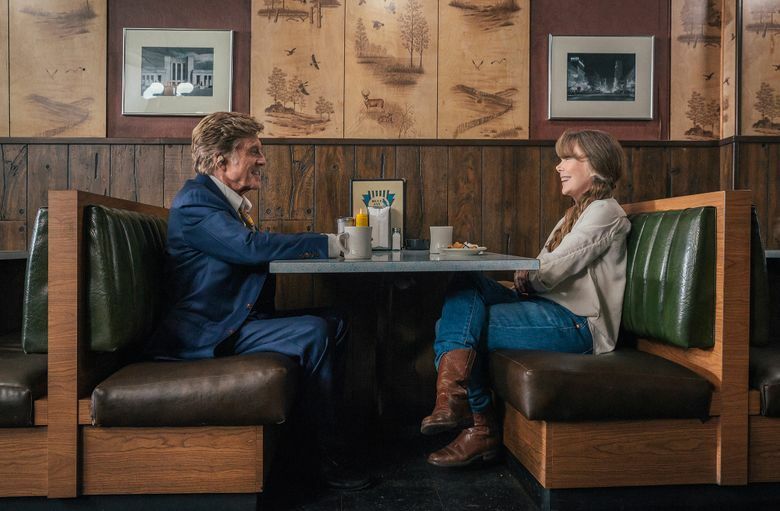 The vibe given off by Redford and his principal co-stars Casey Affleck and Sissy Spacek is one of accomplished professionals feeling supremely comfortable inhabiting their roles. Spacek plays a cheerful widow whom Tucker amiably woos. Their rapport is natural and lovely. Affleck’s character is a detective who doggedly tracks Tucker as he pulls off heist after heist. As time goes by, the cop develops a sneaking admiration for the elderly rascal, who obviously subscribes to the philosophy that a man’s got to do what a man’s got to do, stretches in the slammer be damned. The time is the early ’80s. The place is Texas. The tale is derived from a New Yorker article by David Grann, adapted by writer-director David Lowery (“A Ghost Story,” starring Affleck, and “Pete’s Dragon”). The story “is mostly true,” we’re informed by a title card at the start. Tucker indeed existed and was in fact a serial robber and jail-breaker (he broke out 17 times according to Redford, including once from San Quentin in 1979 in a boat made in the prison workshop). His story has been sweetened and streamlined by Lowery who has made what is essentially a routine heist movie. But he handles the story with low-key expertise. Throughout his career, Redford has always been a solid performer who brought a sense of sincerity as well as effortless charisma to his acting. Those qualities are all on display in “The Old Man with the Gun.” At 82, it’s clear he still has the magic. And if he wants to stick around, well be our guest, sir. A Hollywood legend has got to do what a Hollywood legend’s got to do. ★★★ “The Old Man & the Gun,” with Robert Redford, Casey Affleck, Sissy Spacek, Danny Glover, Tom Waits. Written and directed by David Lowery, based on a New Yorker article by David Grann. 93 minutes. Rated PG-13 for brief strong language. Opens Oct. 12 at multiple theaters.